After living in our house for seven years, I feel like I finally have systems in place for all of the major elements in our home… just in time to move and start all over again. 🙂 Because I don’t want to spend another seven years figuring out systems in our new house, though, I tried to look at our current home and pinpoint the essential organized areas that keep it running smoothly so that I know what to focus on in our new space. And since it would be awfully selfish of me to keep my findings to myself, I thought I’d share them with you in case you’re looking to get more organized as well! If you are like us, you have oodles and oodles of paperwork that enters your house on a daily basis. It never stops! There was a point in our lives where we really struggled to keep up with the inflow of paper because we were lacking a solid system. And then we went paperless. And it has been the best thing we possibly could have done. Basically, Donnie is in charge of scanning any incoming paperwork that we may need to reference in the future. He then files it digitally in a system we have set up in Evernote, and then we can discard the paper originals. 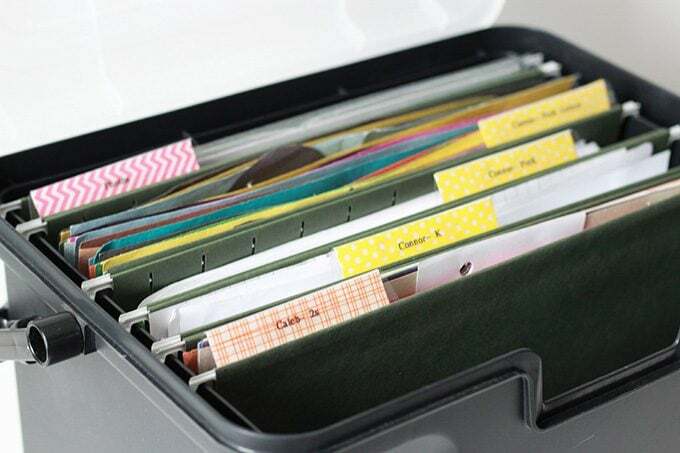 We don’t have any filing cabinets stuffed full of bills and medical records; everything is digital. You can read more about how we manage our paperless system in this post. Just when we thought we had the whole paperwork thing under control, though, our kids went to school. I have never seen so much paper come home in my entire life. Eeek. Once we realized how much paper they were bringing in the door daily, we realized that we needed a system for that too. 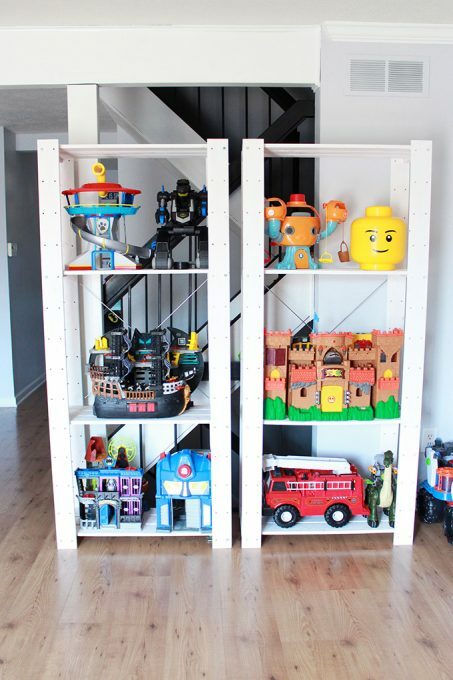 After a little trial and error, we found a way to minimize their paper clutter, display their proudest pieces, and file some of our favorite items for future perusal. I explain our system for handling kids’ school paperwork in this post. One of the other areas that Donnie and I quickly learned that we needed a system for was organizing our schedule. It only took a few double booked appointments for us to realize that we needed to get on the same page, and fast. 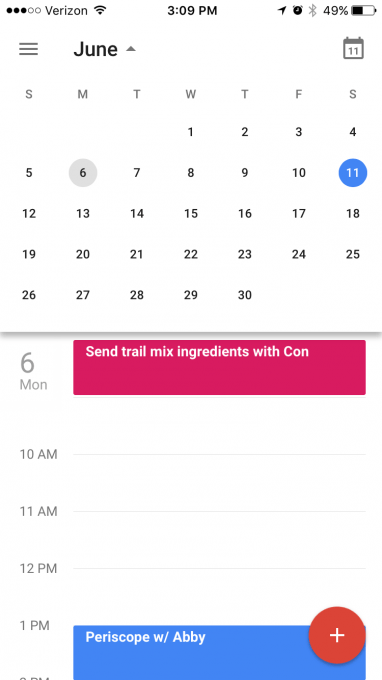 The easiest way we’ve found to do this is to utilize a shared Google calendar. We both add pertinent appointments to the digital calendar, and both of us can access it from our phones and computers. This way before we schedule anything, we can easily check to see if there are any other events that would interfere and we avoid the double booking problem. Since I am a pen and paper girl at heart, I also keep a paper planner that I use on a day to day basis for my own notes, time blocking, goals, and plans. 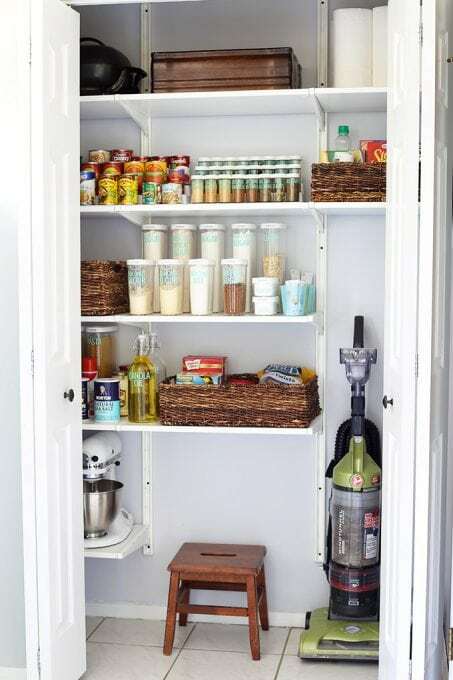 Now let’s get down to our “stuff.” The kitchen, as they say, is the heart of the home, and it is also one of the first areas that can become unruly on the organization side of things! 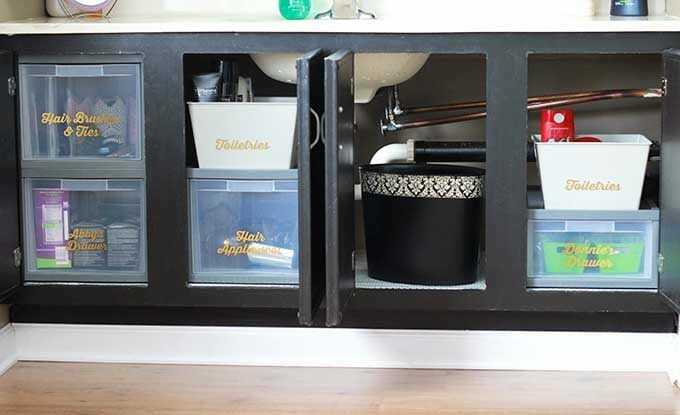 With so many gadgets, utensils, appliances, and pieces of dinnerware, cabinets and drawers can fill up fast. The number one thing I’ve done to combat this is to purge ruthlessly. I got rid of items I had multiples of. I ditched anything I wasn’t using often. I threw away or donated any specialty gadget whose purpose could be met by something else (for example, my grill or oven could take the place of my George Foreman grill, so it got the boot). 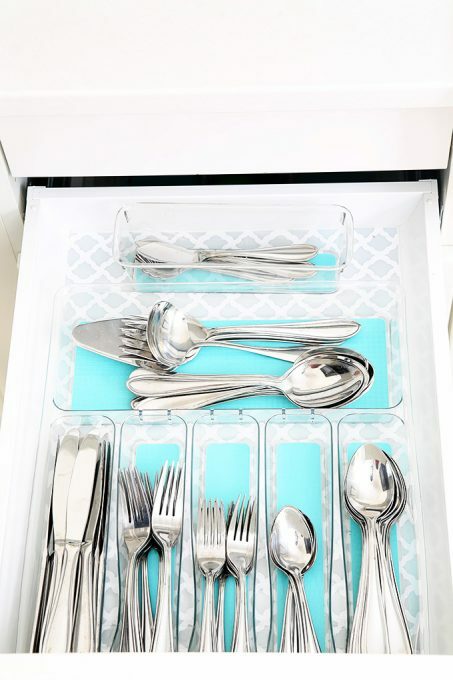 After purging, I was really intentional about how I filled my cabinets and drawers, placing the items I used most often within easy reach and the pieces I use more sporadically up higher. You can take a tour of all of our kitchen cabinets and drawers in this post. 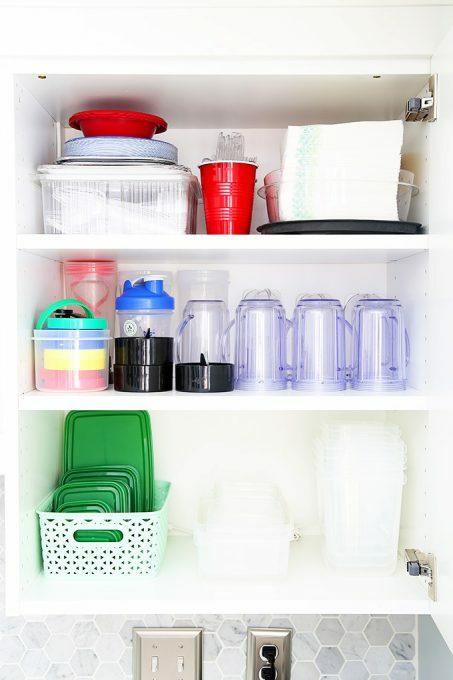 While we’re talking about the kitchen, the food also needs to be organized! 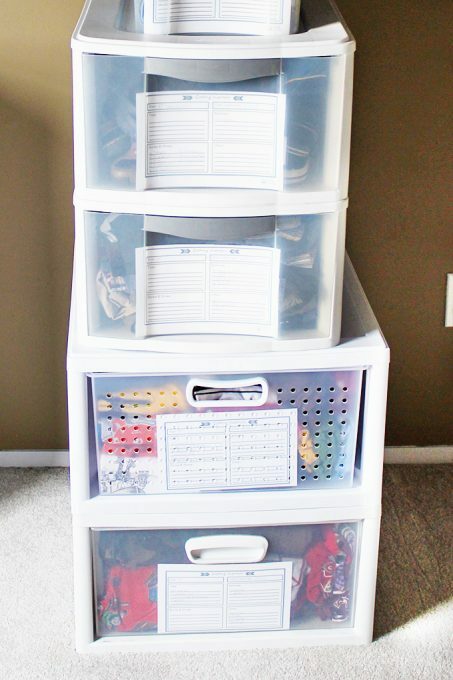 I store dry goods in my pantry, which we made more functional with ALGOT shelving from IKEA. Once the shelving was in place, I used a combination of baskets, risers, and storage containers (with labels!) to organize the food in the most efficient way possible. More details about our pantry can be found in this post. Our refrigerator is the second piece in the food organization puzzle, and though it is small, we’ve found ways to maximize the space using carefully chosen bins and specific placement for different types of food items. 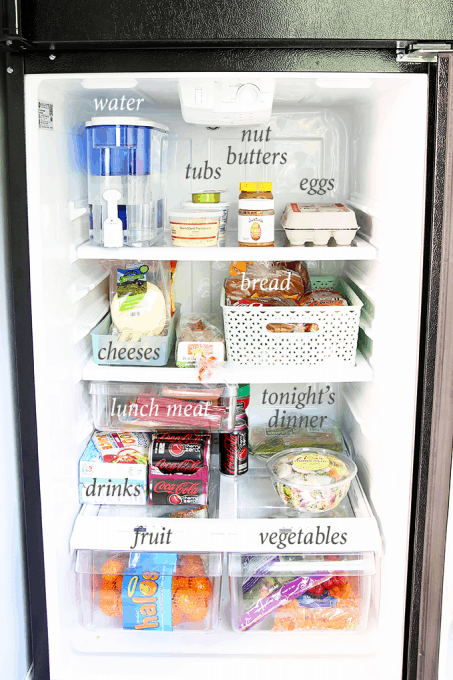 I wrote all about our organized refrigerator in this post. 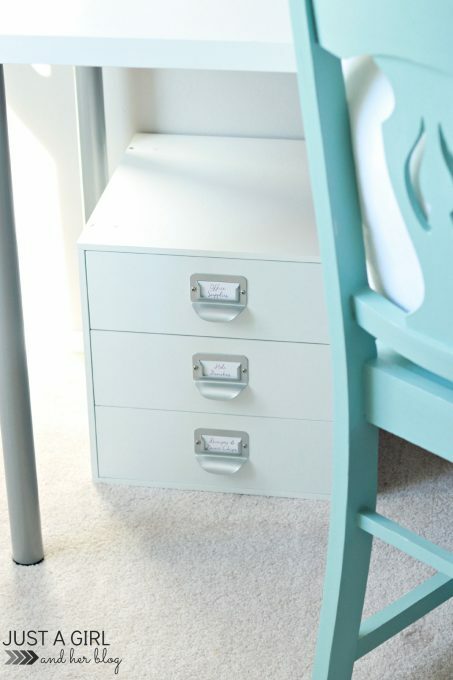 We use the filing method for our folded clothes to keep our drawers neat and organized. You can see a step by step explanation of how I fold our clothes this way in this post. Since we have two boys, hand-me-downs are another thing we have to keep organized around here. 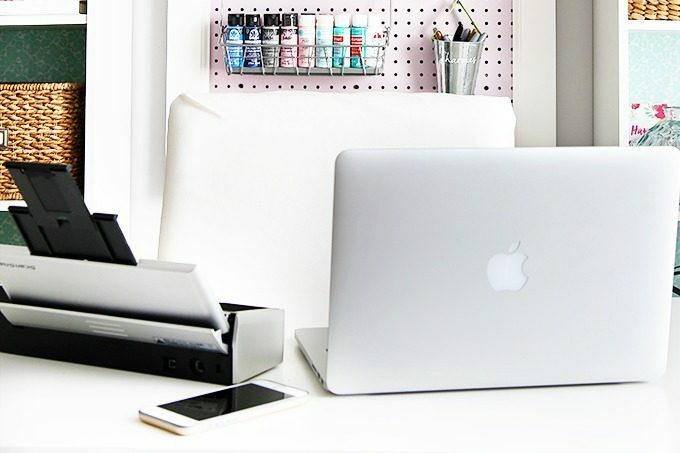 I use plastic drawers and a labeling system to keep all of the different sizes straight, and you can snag my free printable labels in this post. 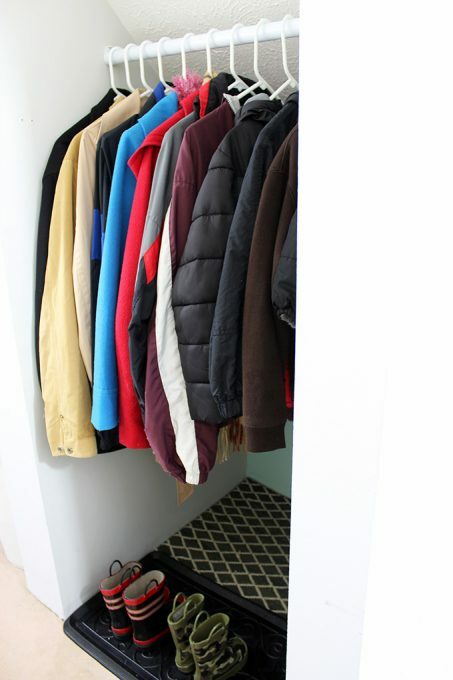 All other coats are stored in a nook in the basement, which is right beside the door we use most often to enter and exit our house for easy access. I keep a bin for gloves and hats in this nook as well, so we can easily find what we need to bundle up in the winter. 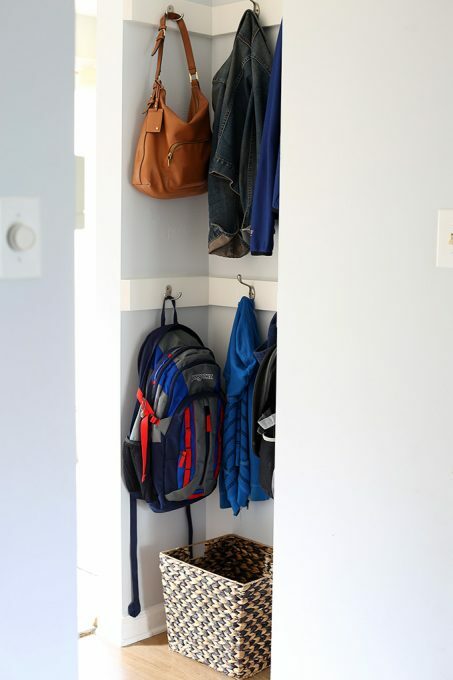 More information about our coat storage system can be found in this post. 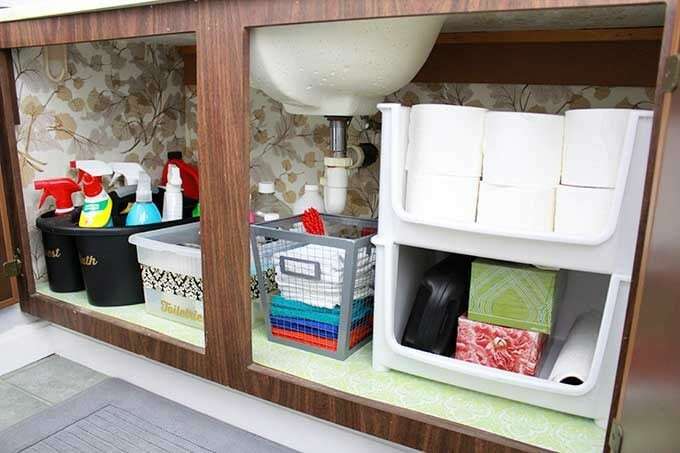 More details about our under-the-sink organization can be found in this post. I am not even a huge seasonal decorator (other than Christmas– then I go all out! 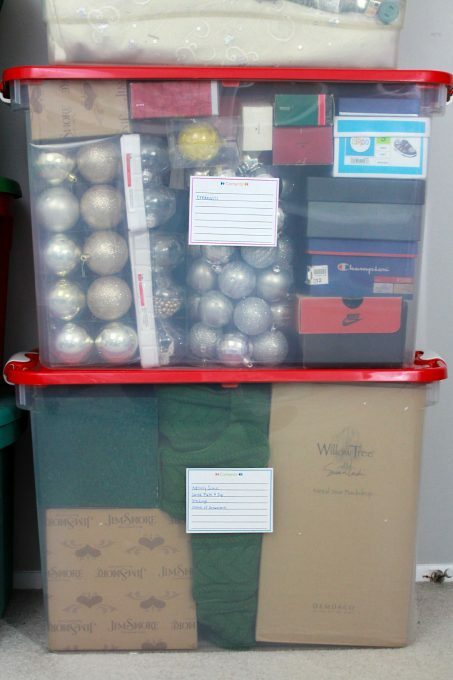 😉 ), but I still have several bins of seasonal decor that we store in our garage. As I’ve said with many of the other areas, the biggest thing I do is purge these bins on a regular basis. There is no reason to store items that I’m not going to use. I also use labels to tell me what is in each bin so that I can locate what I need quickly, and you can snag those in this post. So those are the 10 main areas where intentional organizational systems have been absolutely essential for us! 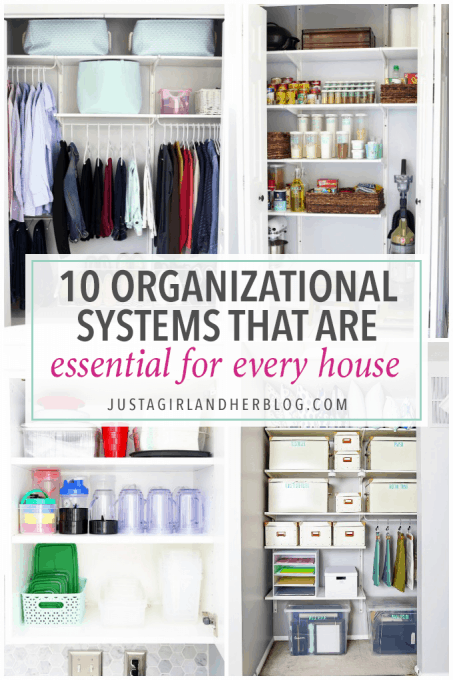 Now, there is not one perfect organizational system that will work for every family or every house– I’m sure some of ours will look similar in our new house and some will be quite a bit different! 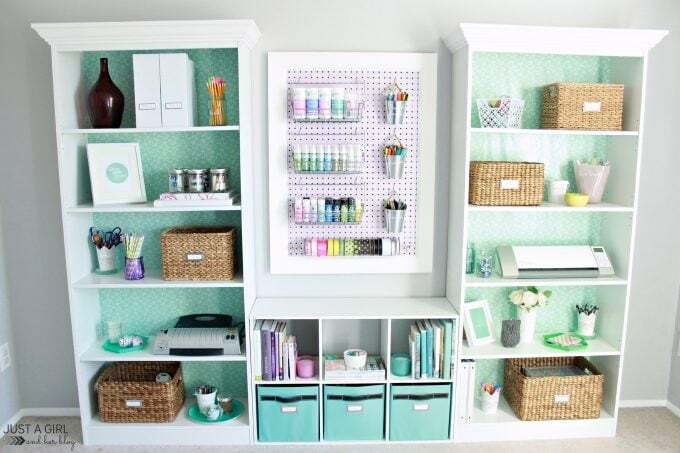 But if your goal is to get organized, hopefully this list can help you get started and know which areas to focus on to help make your home run as smoothly as possible. Are there any other areas you would add to my list? I’d love to hear about them in the comments! Love your posts! I’m working through our home as well and getting organized slowly but surely. I’m a board game nut and have a huge closet full of them. Couldn’t help but notice it looks like the boys have two versions of Chutes & Ladders but can’t tell what the second one is. This is such a minor thing, but we are looking to get that game for children that come to our house when we have company. Which version do your boys like best? Thanks Abby! You have a good eye, lol! They have the classic version and the “Super Hero Squad” version. I would say they play the Super Hero version more often, but the classic version might be more boy and girl friendly. 🙂 Hope you’re having a great day, Sarah! Love all these tips! One thing that I additionally do is arrange my clothes in my closet by color. It looks like a beautiful rainbow and takes a bit of anxiety away when I have to choose what to wear. Because I’m normally in ‘color’ moods 🙂 And also, as a stay/work from home mommy – I have an outfit for each day of the week. It makes my morning routine smoother 🙂 Thanks for sharing! Love that, Suzi! Thanks so much for sharing! It’s so inpirational to see all of this in one post! I’m working my way through my own home now, and while I have a long way to go, it’s so nice to be inspired for the future. I’m really envious of your pantry, I don’t have one and I find I really miss it. Aw, so glad they were helpful for you! Hope you’re having a great week! It really is so awesome once you have the system in place! We love it! I had to laugh at your ‘meanmommy’ tag! I think it essential that children learn early – one in, one out. “Stuff” smothers us! I wish I had just ONE drawer that was as neat as anything you have. 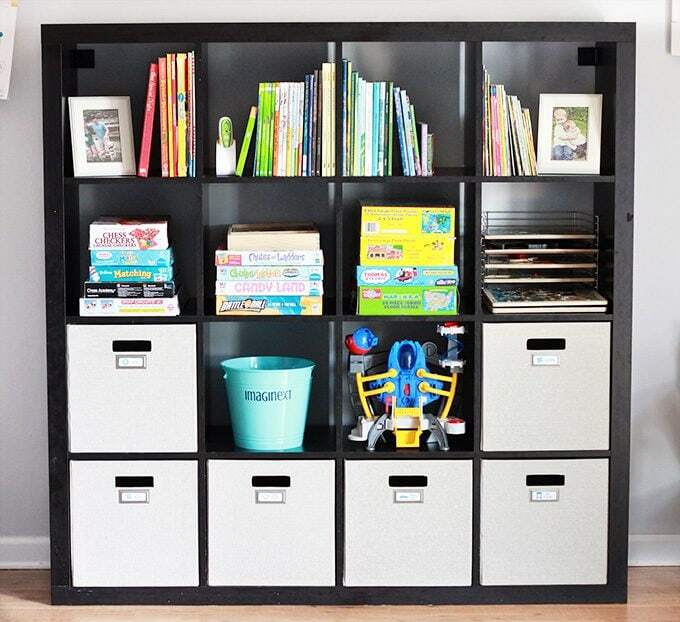 These are such great tips, makes me want to completely organize my house! I struggle sometimes with “I might need it someday” syndrome and being attached to my kids things for sentimental reasons, but I’m trying to learn to part with things. Clutter is making me crazy! So glad it was helpful for you, Lauren! I’ve seen you mention going totally paperless a few times now, and my gut reaction has alway been, “But what about the things where we *need* originals?” But then I thought about it, and that’s really such a tiny minority of all the documents in our flat, and in many cases originals can be replaced without too much fuss; I think my fiancé had to spend something like £20 to get his birth certificate replaced as we needed it for our marriage licence and his mum couldn’t find it (something that also isn’t a problem if most of your documents are digital!). I finally clicked through and read Donnie’s post on the subject and it’s definitely something I want to do now. 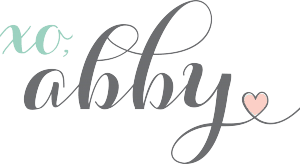 Great post, Abby! Thanks so much for sharing. I am sure you are encorporating the best organization plans in your new home to be built. That must be fun to start from scratch with all the great ideas on Pinterest and great places to shop. A little overwhelming, but SO exciting! 🙂 Thanks so much! I love the fact that you seem to use all different types of bins. 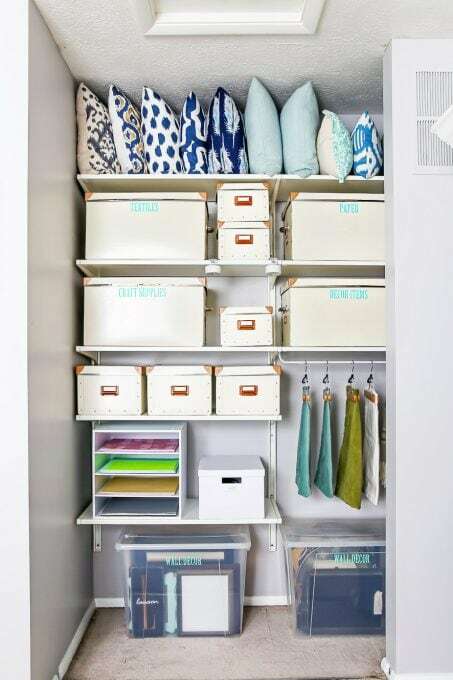 Primarily clear, but you also have great use for boxes and other types of containers which really bring about the convenience and compartmentalization of a space. It’s inspired me to start gathering all of my random bins, plastic containers, boxes and baskets and be more intentional with their use. Glad it was helpful for you, Zoe! I love all your tips, meanmommy! I consider myself relatively well-organized, but I’m not paperless. I’ll have to think about that one! Also, I’m addicted to kitchen gadgets and have far more than I need (and use). I think that’s the area I’ll tackle first! Thanks for the great post! Love the organization posts! Being a little OCD, I think I’m really going to try the purging to really force myself to donate / throw away unused clothes because our closet is really tiny for our bedroom. We have 2 single door closets & looking to install shelves. 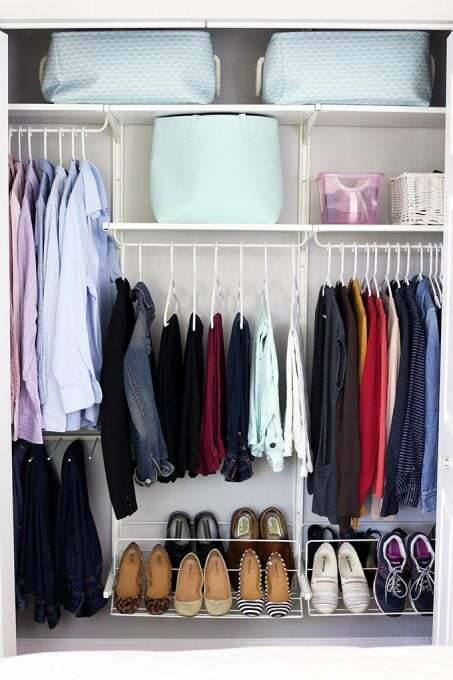 For now, I thought of using rattan / wicker / ottoman storage at the foot of the bed for “everyday clothes” (tshirts, jeans, shorts… Anything that’s good folded) and was wondering if you could give any suggestions on organizing it in “one big box”! Thanks for the wonderful posts!!! Hi, Roenlo! I would probably look for some bins I could use inside of the box to separate the different types of clothing. 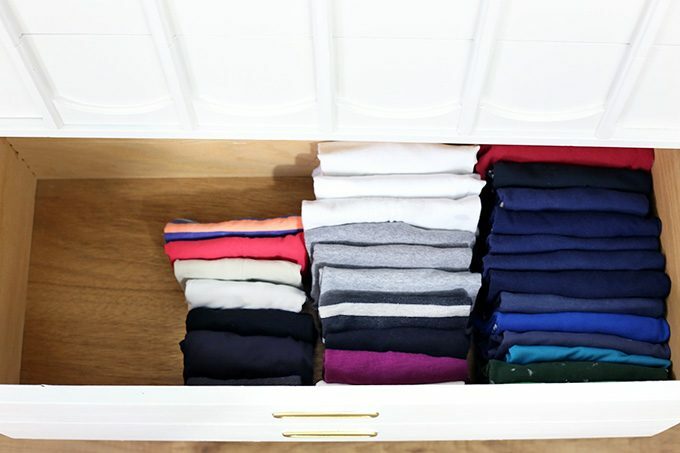 I use bins in my drawers that hold my socks and undergarments to keep them neat and tidy, and it works like a charm. I hope this helps! Have a great day! Wow ! This is sooo organized! Thanks for sharing.